There is nothing more special than watching my children grow up. Squidgy is outgoing, stubborn and independent whilst showing amazing compassion, love and care for others. 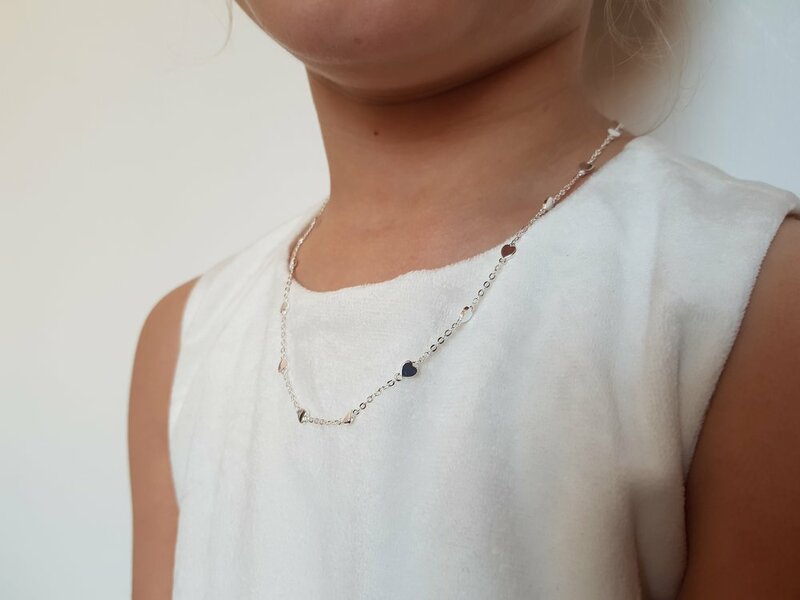 As she is getting older now, and more responsible with it, I though I would finally allow her to have her very own "grown up” piece of jewellery in the form of a beautiful necklace from Molly Brown London, which they kindly sent me to review. When the necklace arrived I was seriously impressed by the presentation. You would not know, looking at the bag or the box that it came in, that it is a brand built around making beautiful jewellery for children. The contrasting pink and brown are taken from their logo and really stand out, making it look both fun and stylish. Plus there are bow which got Squidgy super excited (and impatient!) to find out what was inside. Once Squidgy had navigated the bow ribbons on the Molly Brown London bag and box, she finally was able to see what she had inside. Upon discovering her new Hearts by the Inch necklace, she literally squealed in delight. Her face was beaming and I wish I had my phone or camera at the time to capture the excitement. Instead I enjoyed the moment with her as she opened the little organza bag and pulled out her new heart necklace. Molly Brown London offer such a wide variety of products that are perfect as gifts for Christmas, birthdays, Christenings and so much more. Without a shadow of a doubt they capture a moment and hold a memory. I know for sure that Squidgy is going to treasure this necklace for years to come, and perhaps one day she will be able to pass it on to her own daughter. The best part is this piece is not only stunning and made from hallmarked sterling silver, but it is also adjustable along the chain of the necklace. Jewellery to me symbolises something special. Each piece I have holds a memory. From my wedding ring (for obvious reasons!) to the pair of earrings which were the first gift John ever bought me to the charms on my Pandora bracelet, I have some staple pieces and each one is so special to me. Squidgy has been asking for almost as long as she could talk for her to have a piece of jewellery “just like mummy”. She’s getting to an age where plastic butterfly elastic pieces just don’t cut it anymore. This stunning Hearts by the Inch necklace could not be more perfect to put a huge smile on my beautiful eldest daughter’s face. Squidgy is so fortunate to have this stunning Molly Brown London necklace, and takes special care to make sure it is safely in its box and has said she only wants to wear it for special occasions. I know that there are so many items available on their website that are suitable to a wide range of recipients and occasions; so be sure to pop over and visit the Molly Brown London website and pick out the perfect gift for the little lady in your life. For more reviews of products and services we use in our lives as parents raising our two girls visit my reviews page. 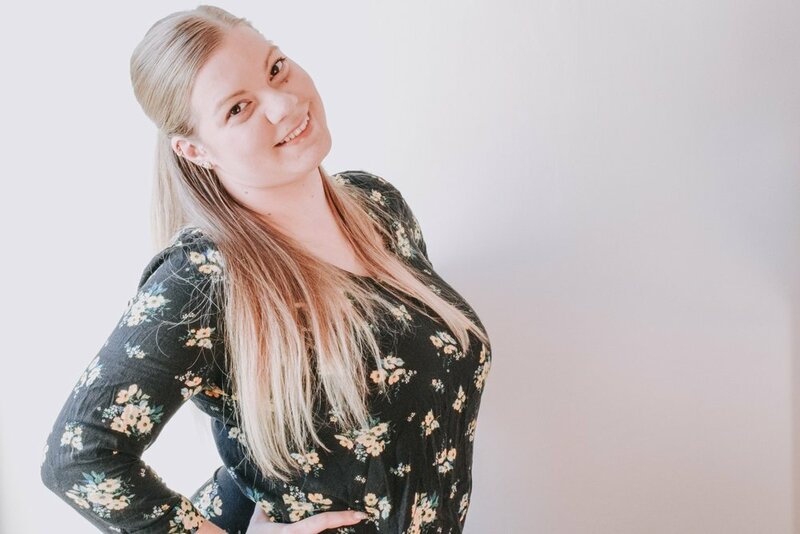 If you have any questions about Squidgy's Molly Brown of London necklace which I have not covered in this post, feel free to ask in the comments section below. Disclaimer: I was sent a the Hearts by the Inch Necklace by Molly Brown of London in return for an honest review. The review words and opinions are my own. All photos are copyright property of Me Becoming Mum.